The fourth Escher Airdrop is currently underway, with roughly 14,000 block remaining to claim for this round (approximately two weeks). How could the crypto market unfold in 2019? Here are 5 crypto predictions for 2019. Doge Doggerton on Twitter: "Giveaway time! Nodes help secure a network. Nodes delivered via a RaPi is an energy efficient way to do it. The @ubiqsmart community has been hard at work helping others configure nodes to help strengthen $ubq. Follow and RT and I'll pick a winner of 1 RaPi 3B+ kit on 1/14/19...."
With the U.S SEC cracking down on ICOs, how can you thrive during this ICO apocalypse? Here are 2 ways to keep yourself safe from the ICO crackdown. 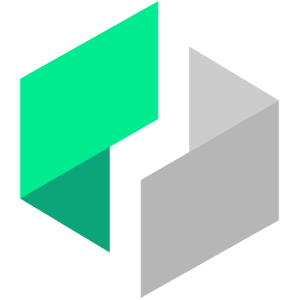 Check out the Ubiq community on Discord - hang out with 5,238 other members and enjoy free voice and text chat. Altcoin Magazine on Twitter: "Ubiq community contest with $75 worth of $UBQ - Learn about Ubiq in this in-depth interview with @KrisLester! To enter the contest: FOLLOW @ubiqsmart and @cryptoubiq and RETWEET this article! #UBIQ contest winner will be announced on November 20th! https://t.co/q1eIC3peeG"
How can we value a cryptocurrency project? Network Value to Transaction Quantity (NVTQ) is one metric we can use when evaluating a blockchain project. This page is intended to be a one-stop resource for explaining the Ubiq ecosystem. We have now opened the Escher logo competition for submissions on GitHub. Ubiq cryptocurrency community site, with details about the network, community resources, and updates on current projects. This article follows up on the previous blog post Introducing Ubqhash and formally announces the UIP 1 Hard Fork with upgrade details. Ubiq is pleased to announce that development of the network upgrade / algo switch is nearing completion. Take a look at our medium blog: introducing Ubqhash (blog.ubiqsmart.com/introducing-ubqhash-8fa515befd7) to learn more. Monetary policyis one of the driving forces behind crypto price discovery. Kris Lester analyzes the Ubiq monetary policy and why it makes him bullish. Hi Everyone. Ubiq is proud to announce we are now live on the Blockfolio Signal beta. We recently completed our monthly report for September, which you can read on our medium blog - blog.ubiqsmart.com/ubiq-monthly-report-september-2018-cc512aec8202 . We look forward to sharing more exciting news with you in the near future.